Color is an integral element of our world and has always played a role in the human evolutionary process. 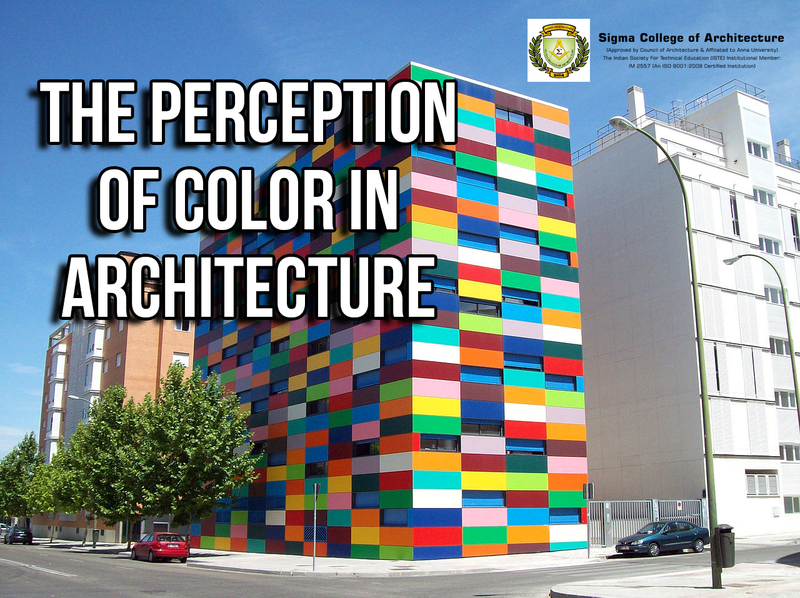 Scientific studies have proven that human reaction in the Architectural environment is to a large percentage based on the sensory perception of color which has effects that are symbolic, associative, synesthetic, and emotional. Color has always been a part and parcel of the Architectural design. Historically color was used lavishly in Architecture, because of the desire to glorify gods or kings or to celebrate the marvel of the building itself. One of the most striking results concerning color connotations and color mood associations is the message it conveys and is of utmost importance in creating the psychological mood or ambiance that supports the function of a space. This reaction to color need not always be governed by the intellect, it can affect subconsciously as well.